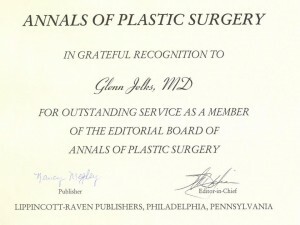 HIGHEST HONORS AWARDED TO GLENN W. JELKS, MD: NEW YORK CITY PLASTIC SURGEON RECEIVED PRESTIGIOUS TIFFANY AWARD FROM AESTHETIC SURGERY PEERS. 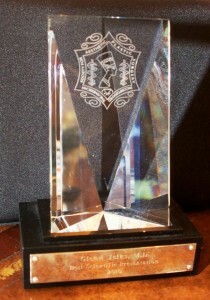 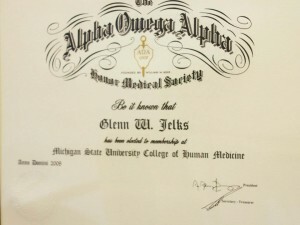 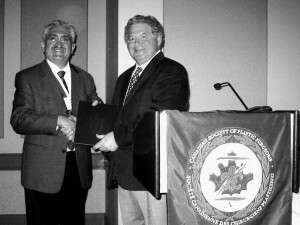 The award, presented at the 2011 Annual Scientific Meeting of the Society, is presented to a single recipient and is the Society’s highest honor for a presenter. 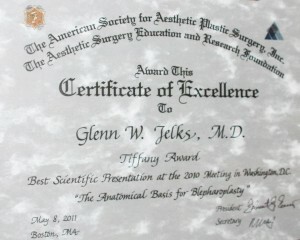 Dr. Jelks’ lecture was chosen by The Aesthetic Society for its contribution to the science and practice of aesthetic surgery. 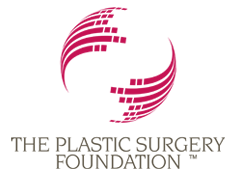 The Aesthetic Society is the leading national organization of board-certified plastic surgeons specializing in cosmetic surgery of the face and body.